Ad blocking or ad filtering (removing or altering advertising content on a portal) has turned into a nightmare for publishers. The problem created by publishers and advertisers is going to lead to almost $22 billion of lost advertising revenue this year. Globally publishers are finding new ways to tackle the menace, publishers like Mic are cutting deals with ad blocking companies, Vox Media and Quartz are investing in more appealing ad formats that consumers might better accept. On the other hand Washington Post is experimenting with blocking access to readers who give ads the stiff-arm and giving up to Facebook’s Instant Articles program. 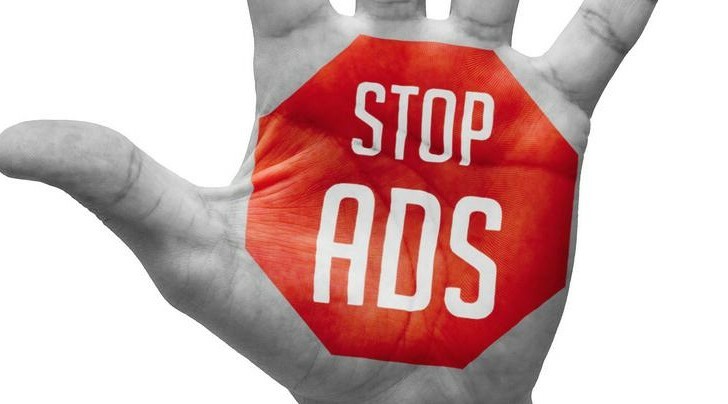 On the other hand The Interactive Advertising Bureau (IAB) is tackling the widespread ad blocking issue with the global rollout out of a program it hopes will set industry standards for ads that won’t drive people to block them out of frustration. Acronym as L.E.A.N — light, encrypted, ad choice, non-interruptive — the program will roll out over the next six months. The idea is to get publishers to clean up their sites, relying less on obnoxious ads that slow sites to a crawl and scare the users reading experience. Back home in India where digital is still evolving, ad blocking problem isn’t that rampant but publishers are not leaving any stone unturned to scare the reader out of her mobile/web reading experience. “Currently the ad blocking penetration in India is at 2% (4 million) and this number will grow rapidly,” informed Vignesh Vellore, Co-Founder, The News Minute while sharing his thoughts in a previous article on ad blocking which focused on thoughts from Indian publishers on ad blocking. The problem is evident, sooner or later this will come to India where content consumption is rapidly happening over smartphones. In fact the entire debate geared up globally when Apple decided to include ad blocking capabilities for the mobile Safari browser. Within hours after iOS 9 came out on September 16, three ad blockers made it to the top 10 most popular paid apps for iPhone in the US market. With the rise of ad blocking, native advertising (online advertising that matches the form and function of the platform on which it appears) has turned out to be the most lucrative option for publishers. BI Intelligence finds that spending on native ads will reach $7.9 billion this year and grow to $21 billion in 2018, rising from just $4.7 billion in 2013. Times sold up to $18 million worth of native ads in 2014 resulting $182.2 million digital ad revenue. The popular listicle site Buzzfeed hit $100 million revenue in 2014, while it is not clear how much was made by native advertising but it is a known fact that native and videos are a strong-arm of the new age publisher. But again native comes with its own set of challenges and image problems. With scale being a major problem for native, maximizing revenue while preserving and protecting editorial integrity and user experience is another one. Raju PP, Founder at TechPP is also completely against native advertising as it is against his personal ethics. Instead Raju wants to work on the user reading experience and he has also signed up for the Google Contributor, a program run by Google that allows users in the Google Network of content sites to view the websites without any advertisements that are administered, sorted, and maintained by Google. The other options are subscription for digital news and paying for content. Techcircle has implemented the pay wall structure and even Newslaundry has followed the path for some time. However, how fruitful it is in Indian scenario is tough to say at this moment. Lastly, banner advertisements that have been a revenue source for most Indian publishers won’t die but it will hurt. “There will always be users who don’t use ad blockers, unless the operating system integrates ad blocking, and keeps it on as default. Given that India is Android country and Google depends almost entirely on advertising for its revenues, it’s unlikely that they’ll integrate ad blocking into Android. The increase in usage of apps means that more inventories will be available within apps,” added Nikhil Pahwa in his latest piece on ad blockers and the impact on media. With all this, social networks – that are the new publishers – will also play a deciding role in content consumption, therein decide publishers’ fate too. With its growing popularity in India, Facebook will definitely play a big role with its Instant Articles and publishers won’t say no to its walled garden approach.